The Color Classic II never shipped in the U.S., which makes it hard to find today. October 10, 1993: Apple ships its Macintosh Color Classic II, the last of the 9-inch compact Macs. Also known as the Performa 275, the Color Classic II will eventually become something of a collector’s item, since Apple released it only in Canada, Asia and Europe. Its predecessor, the original Macintosh Color Classic, debuted in February 1993. The first Mac to come with a built-in color monitor, the gorgeous machine allowed for Apple IIe emulation courtesy of a PDS card. “In many ways, the Color Classic is the compact Mac everyone’s been waiting for since, well, since 1984,” MacUser magazine wrote in April 1993. However, in unintended “classic” fashion, it harked back to the original 1984 Macintosh in one other way. It was a beautiful computer, but horribly underpowered. Instead of treating the Color Classic as a gorgeous retro throwback experiment (which, let’s face it, isn’t any more niche than a lot of the other ideas Apple was trying at this time), Apple instead forced the computer to occupy a spot as an entry-level machine. This meant giving it a maximum RAM of 10MB, which proved insufficient for most users even in 1993. It also suffered from a slow, 16-bit data bus and a meager monitor resolution of 512 pixels by 384 pixels. As a result, many games failed to run properly on the machine. The Mac Color Classic II fixed a lot of these problems, while retaining the original’s form factor. In this way, you might consider it the equivalent of a modern iPhone “s” version. The design kept the same outer shell, but internal upgrades addressed problems faced by the previous generation. The Color Classic II doubled the CPU speed and RAM capacity of the original, but retained the monitor resolution. Still, there was no doubting that, if the Color Classic was the compact Mac that fans wanted since 1984, the Color Classic II was the Mac that Color Classic fans wanted all along. Unfortunately, for some reason Apple never sold the Color Classic II in the United States. It remains somewhat hard to find even today. Did you have a Color Classic Mac? 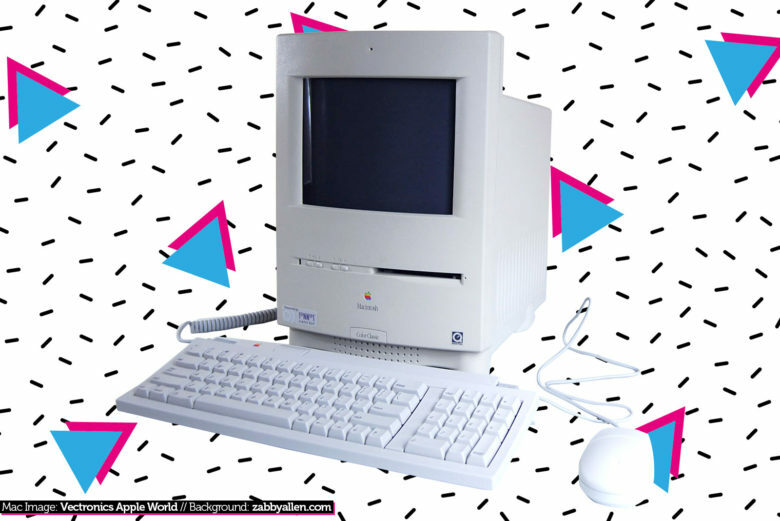 What was your favorite 1990s Macintosh model? Leave your comments below.